No, it’s not just how she looks now after enduring a Marvel press junket for Doctor Strange. 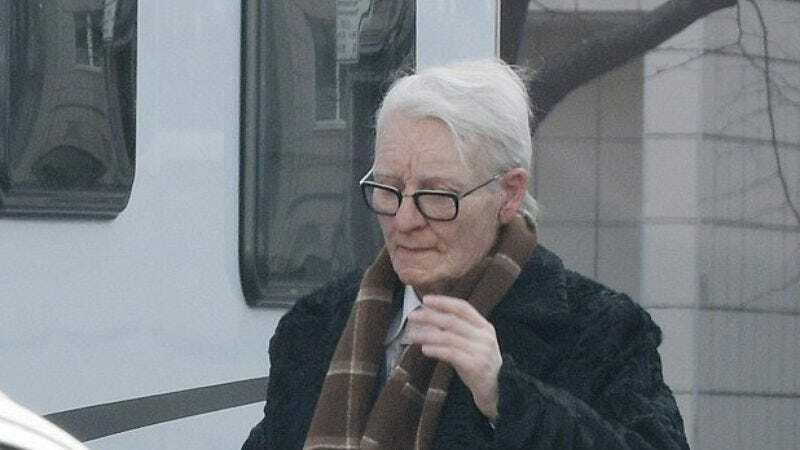 Swinton is in costume for her newest film, a remake of the Dario Argento horror classic Suspiria. When last we reported on the film, it had been rescued from the jaws of certain death by I Am Love director Luca Guadagnino, who most recently helmed the delightful A Bigger Splash and is basically reuniting that cast for this project. Only it seems Swinton will look just a mite different than she did in that film. Here, let’s see another shot of her current appearance. Good lord. It’s like someone fed Mitch McConnell through a juicer. Even her makeup job in The Grand Budapest Hotel was more recognizable.